Love all of these picks but my favorite is the fox necklace. I saw these really cute fox slippers on the C Wonder website too! I just love anything any everything with foxes! So so cute! I love the scarf scarf and the fox necklace! 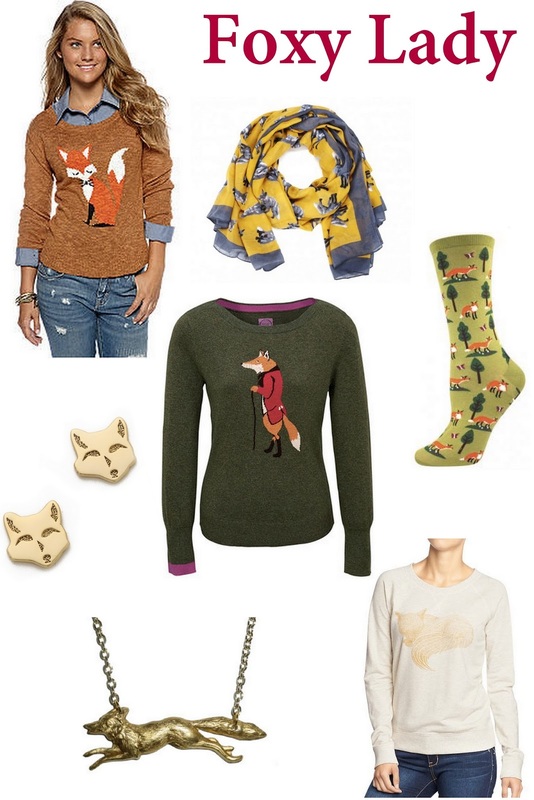 How do I not have any foxes in my wardrobe yet?! I love the classy fox sweater. Also, I've been seeing a lot of shirts with 'what does the fox say?' ever since that music video came out. Love all this foxy gear- thanks for sharing! Love those fox sweaters! I can't believe that last one is from Old Navy. I totally expected it to be out of my budget! Thanks for your sweet comment on my blog. :) Enjoy the rest of your week!! come to see my new post sweety..enjoy it!